Despite the intense political attention that has been focused on accountability, on standardized testing, and on the equity effects of both accountability and testing, the great majority of recent debate in education policy circles has failed to attend to either the dynamism or complexity of these issues and has, instead, been carried out in a dualistic, good versus evil, fashion. 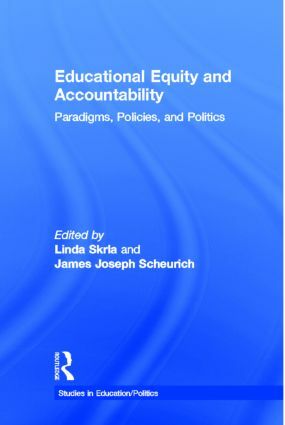 In contrast, the scholarship collected in this important new volume is designed to move beyond the prevailing dualism and to push the discourse about accountability, testing, and educational equity in public schools usefully forward, and to provide a much-needed resource for researchers, policy makers, and practitioners. Linda Skrla is an associate professor in the Educational Administration and Human Resource Development Department at Texas A&M University. James Scheurich is associate professor at the University of Texas-Austin. He is also coordinator of educational programs.